Whispers Under Ground is the third book in a series. I'd definitely recommend starting at the beginning for anyone interested in this series - the book largely assumes that the reader is familiar with the characters and at least some of the previous events. There isn't a huge amount of direct plot continuity, but without reading Rivers of London and Moon Over Soho first, you'll probably find this book quite bewildering. So, Peter Grant, the Constable working on uncanny / weird / magical stuff for the Metropolitan Police, is back in action, investigating ghosts, goblins and things that go bump in the night. If this sounds like a children's series, then don't be deceived: it's a series of "urban fantasy" for adults. 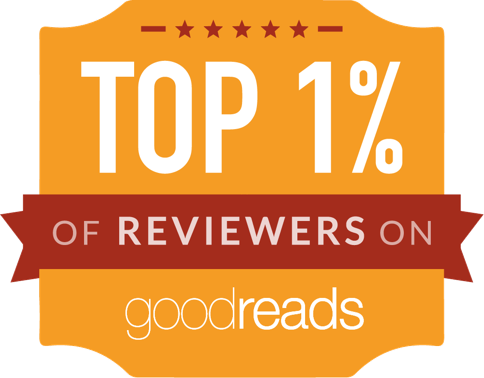 This is by no means the only urban fantasy novel - this is a lively sub genre. London, in particular, is the hero of many urban fantasy tales (Neverwhere, Un Lun Dun, Kraken and many more). However, most of the urban fantasy novels I've read so far struggled to get the balance right. More often than not, the fantasy element and the urban setting start out aligned, but slowly become separate during the course of a novel. The Peter Grant series is the one outstanding exception: here, fantasy and urban setting stay well and truly on the same page. Mixing irreverent, funny police comedy narrative with hocus pocus and a deep-rooted, affectionate knowledge of London, the book oozes all the right things: convincing London atmosphere, fascination with urban mythology, and a world of supernatural goings-on that feels just about credible. 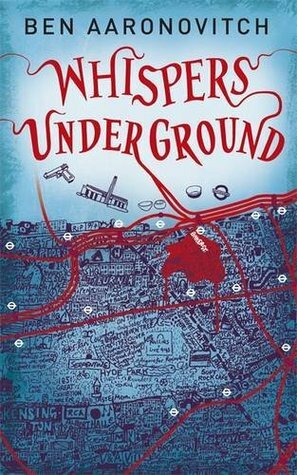 Whispers Underground tackles the iconic tube (and sewer) systems of London - and anyone who has ever lived in London will know that there are many myths and legends about these. Londoners love knowing that there are long-abandoned stations and branch lines, WW2 shelters, and other relics of the city's organic evolution, hidden away from sight but alluringly glimpsed from passing trains if you know when to press your face against the tube window... In short, the Underground is a setting with huge potential - and Whispers Underground lives up to that potential. Whether we're in disused tube tunnels or sewers: the darkness, smells and convincingly authentic myths we encounter with our hero, Peter Grant, are richly atmospheric and beautifully brought to life. The first person narration, meanwhile, is quirky and amusing. I laughed out loud quite a few times - I get the sense this book contained a lot more gags / humorous dialogue than the two predecessors. (The only flaw: some of the dialogue sees ALL the characters wise cracking, a bit like the cast of the movie Lake Placid, so they don't feel entirely individual when they speak). But the thing that really, really lifts the Peter Grant series above most urban fantasy is that our hero once wanted to be an architect, and has a fantastically vibrant way of telling the reader about history and describing buildings, whether ugly concrete blocks or Victorian town houses. Reading the book is almost like a tour of the city - but a tour led by a wizard policeman. What could possibly be better than that? Unlike the first two novels, the main plotline in this one is a little more reserved. There is less scenery-churning, super-powered villainy, less operatic evil, and less of a feeling of supercharged threat. However, this only seems to make the book better. It might not build up tension in quite the same way, but it feels more grounded and authentic and pleasant than the first two novels. The series has settled into a certain rhythm and is now flowing along with joy and happiness rather than feeling the need to amp up the shock factor. In short, it's the best book of the series so far - and a huge delight to read.